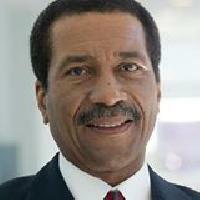 Dr. Robert E. Davis obtained a Bachelor of Business Administration degree in Accounting and Business Law, a Master of Business Administration degree in Management Information Systems, and a Doctor of Business Administration degree in Information Systems Management from Temple, West Chester, and Walden University; respectively. In addition, during his twenty years of involvement in education, Dr. Davis acquired Postgraduate and Professional Technical licenses in Computer Science and Computer Systems Technology. Dr. Davis also obtained the Certified Information Systems Auditor (CISA) certificate — after passing the 1988 Information Systems Audit and Control Association’s rigorous three hundred and fifty multiple-choice questions examination; and was conferred the Certified Internal Controls Auditor (CICA) certificate by the Institute for Internal Controls. Since starting his career as an information systems (IS) auditor, Dr. Davis has provided data security consulting and IS auditing services to the United States Securities and Exchange Commission, United States Enrichment Corporation, Raytheon Company, United States Interstate Commerce Commission, Dow Jones & Company and Fidelity/First Fidelity (Wells Fargo) corporations as well as other organizations; in staff through management positions. Prior to engaging in the practice of IS auditing and information security consulting; Dr. Davis (as a corporate employee) provided inventory as well as general accounting services to Philip Morris, USA and general accounting services to Philadelphia National Bank (Wells Fargo). Furthermore, he has prior experience as a freelance writer of IT audit and information security training material.